The amount of crack users seeking to overcome their drug addiction has risen by a shocking 23 percent, according to figures from the National Drug Treatment Monitoring System, even though the amount of people receiving drug treatment continues to decline. Figures show that 3,657 people requested help to stop using crack cocaine, a smokable form of cocaine, in April 2016, in comparison to the 2,980 people in the year prior. Additionally, during the same period, there was a 12 percent rise in individuals looking to overcome crack and opiate addiction, including heroin. Generally speaking, opiate use continued as the most common drug to seek treatment for, with more than half of patients suffering from addictions to methadone, heroin and similar opioid substances. However, the dramatic incline in the number of people seeking help for crack addiction has raised concerned, following a significantly smaller incline of 3 percent just the year before. Furthermore, the Home Office released data showing a 16 percent increase in crack confiscations in the year to April 2017. In the year to April 2017, 279,793 individual sought drug treatment services in England, of whom 90 percent were white, and 69 percent were male. In England, the amount of crack users has increased 10 percent between 2010 and 2015, reaching 182,828 individuals, according to Liverpool John Moores University Public Health Institute. The National Drug Treatment Monitoring System report established that the rise in the number of people seeking treatment for crack cocaine addiction likely reflected an increase in the use of crack. The report stated, This increase in the number of new users may be in part caused by changes in purity and affordability of crack cocaine over the last few years. Rosanna O’Connor, Public Health England drugs expert, mentioned that changes in drug supply networks, such as the county lines phenomenon, might be part of the problem, in a blog post accompanying the release of the report. The county lines phenomenon describes the act of urban drug gangs spreading out to provincial towns to set up outposts. Ian Hamilton, a researcher on drug treatment at the University of York, stated that the data on the increase of crack confiscations supported speculations made by Public Health England. Hamilton stated, You can bet your bottom dollar that if the Home Office are reporting greater seizures the price is coming down, because that means or every one they seize they’ll be ten that will get by. So that would definitely indicate that price is coming down of crack, and it may just be that, it may just be a price-led thing where it’s cheap and it’s easy to get hold of. Hamilton also added, Health economists have this rule that price and availability drive drug use geographically, so whether you are in Brixton or Bournemouth or Bolivia, if the price is sufficiently low and the drug is sufficiently available then you’ll get that drug used in that area. What about treatment for crack? Another trend that supports the rise of crack use is data regarding treatment presentations. People who seek treatment at a drug and alcohol rehab centre are typically 35 years of age. However, this year has witnessed a 30 percent increase in young individuals under the age of 25 seeking treatment for crack problems at a rehabilitation centre for drug addicts. It has been ten years since a rise in this age group has occurred regarding seeking treatment for crack. Also, unlike effective opioid agonist therapies, such as using methadone to substitute heroin, there is nothing that substitutes crack for those who seek to stabilise and decrease crack use. Nearly 41 percent of individuals seeking treatment at a drug and alcohol rehab centre in Wales and England also report using both crack and opioids, which presents even more challenges. What are effective treatments for crack addiction? Initially, treatment for crack addiction often involves detoxification, which describes a safe and monitored withdrawal that usually takes place at a drug detox centre. It allows doctors to monitor patients for serious physical or psychological symptoms. 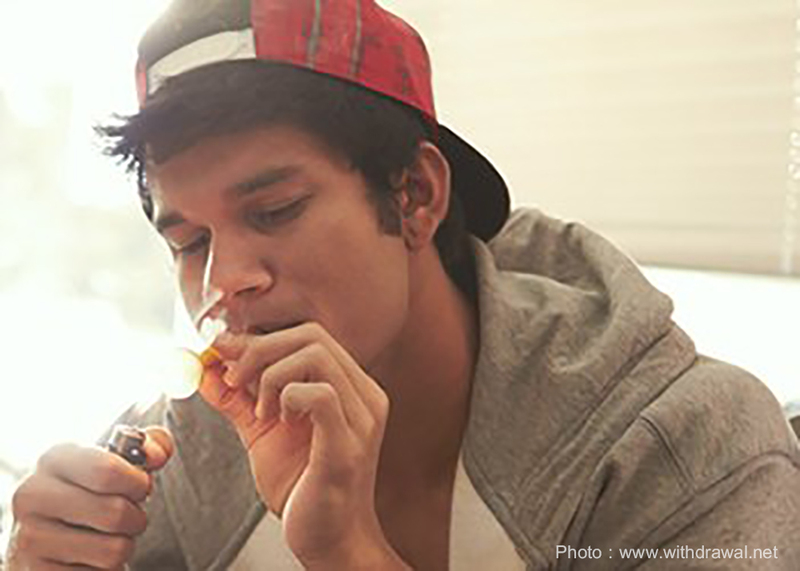 Once detox is complete, patients generally transition to an inpatient rehabilitation centre for drug addicts. Inpatient treatment requires the patient to live at the rehab centre for the entire duration of their treatment. This form of treatment involves individual therapy, group therapy and range of treatment methods such as Cognitive Behavioural Therapy (CBT) and Mindfulness-Based Cognitive Therapy (MBCT). Once inpatient rehab is complete, it is recommended for patients to continue with ongoing aftercare, which allows them to return to their regular lives but continue receiving therapy or other treatments. If you or someone you know is battling crack addiction, it is time to get help. Contact us today to receive a no-obligation assessment to find out how we can help. You can also call us on one of our toll-free numbers.